Trump Promised To Free A Pakistani Surgeon Who Helped Find Bin Laden. He's Still In Prison, And There's No End In Sight. 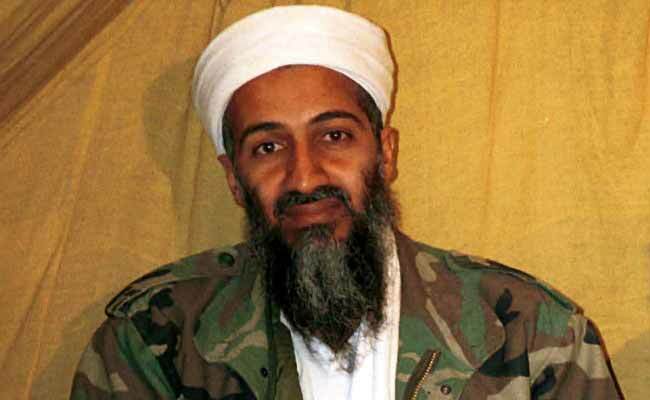 The Pak surgeon helped find Osama bin Laden in 2011 and was subsequently arrested. Before being elected, President Donald Trump made a promise he said would take "two minutes" to fulfill: Facilitating the release of Shakil Afridi, who helped the CIA find Osama bin Laden in 2011 and was subsequently arrested by Pakistani authorities. But 103 days into Trump's administration - and on the sixth anniversary of the raid in which bin Laden was killed in the Pakistani city of Abbottabad - the Pakistani surgeon is still being held on vague charges. His case adds to concerns that the administration is not willing to back foreigners who have risked their lives for the United States during conflicts abroad. Such worries have mounted since Trump temporarily banned Iraqi translators who worked alongside American soldiers from entering the United States shortly after his inauguration. In the case of Afridi, Trump had initially committed to help. "I would tell them, 'Let him out,' and I'm sure they would let him out," said Trump, speaking to Fox News one year ago. But the then-presidential candidate soon learned the hard way that Pakistan had no intention of resolving the dispute quickly. The covert 2011 U.S. raid in Abbottabad - conducted without the prior knowledge of Pakistani authorities - left officials there deeply embarrassed. Days after bin Laden's death, Afridi was captured and accused of having run a fake vaccination program for the CIA to obtain DNA samples that could prove the al-Qaida leader was in the city. The program was reportedly launched under the assumption that bin Laden lived in the Abbottabad compound together with other family members. Whether Afridi actually managed to collect samples from bin Laden's family remains unclear. Western medical charities subsequently warned that the fake immunization scheme undermined their credibility in the country and posed a serious challenge to their own vaccination programs. The criticism came at the right time for Pakistani authorities who sought to prosecute Afridi. A government commission initially said the hepatitis immunization program constituted "a case of conspiracy against the State of Pakistan and high treason." But officials later announced that Afridi had instead been sentenced for alleged ties to Islamist militant groups. The surgeon's role has been openly praised by American officials, but he was viewed as a traitor by many in Pakistan, where authorities have made clear they are willing to risk a possible deterioration of U.S.-Pakistani relations over the case. Only days after Trump's inauguration, Pakistan denied travel documents to the imprisoned doctor's family, a move viewed as a show of resolve to Trump. Following Trump's 2016 remarks, the then-GOP presidential candidate immediately faced a strong backlash from Pakistani authorities. The country's interior minister, Chaudry Nisar Ali Khan, said "the government of Pakistan and not Mr. Donald Trump" would decide the fate of the doctor. "Pakistan is not a colony of the United States of America," said Khan at the time. "He should learn to treat sovereign nations with respect." But Pakistan is also a sovereign nation that has for years heavily relied on American aid. Since 9/11, the United States has paid Pakistan billions of dollars to support some of the country's counterterrorism operations. U.S. frustration with Pakistan's alleged lack of commitment to fighting terrorism has led to cuts in both civil and military aid in recent years. Although officials recently asked the United States for assistance in curbing attacks from militants within Pakistan and signaled willingness to discuss Afridi's case with the Trump administration, Pakistani media outlets reported last month that the country was not ready to "compromise on national interest" - a reference to the imprisoned doctor. During the first days of Trump's administration in February, Afridi's family was still optimistic about efforts to free the surgeon. Calling him a "true American hero," his brother told The Washington Post's Pamela Constable at the time: "[Trump] is a man of action who does what he says." But for now, there has been no action, and Afridi will mark the sixth anniversary of his arrest in a Pakistani prison.